PUNTA GORDA, Florida (May 25, 2018) – Hundreds of boxers from the U.S. and Caribbean will converge on Punta Gorda next weekend to compete for a chance to advance to the 3rd Annual Sugar Bert Boxing Title Belt National Championship. 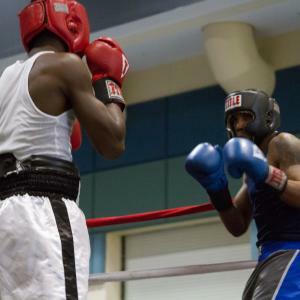 Boxing tournaments in the national qualifier will be June 2-3 at the Charlotte Harbor Event and Conference Center located at 75 Taylor St. in Punta Gorda. The three-day event kicks off Friday, June 1, with registration and general weigh-ins. Amateur pugilists of all ages will compete in double elimination tournaments for various weight divisions (bantam, intermediate, junior, senior, women, open men, novice, and master). Winners in each division secure title belts, rankings, and a place in the Sugar Bert Title Belt National Championship Series, a USA Boxing sanctioned competition. “This is a unique opportunity for Southwest Florida boxing enthusiasts and sports fans to see some of the best amateur boxers in the nation all in one event. This includes seeing Florida homegrown No.1-ranked fighters Xander “X-man” Zayas, Darrion Henry, and Kevin Myers, just to name a few,” said promoter Bert “Sugar Bert” Wells, a former Golden Gloves boxer and Fort Lauderdale native. Wells now coaches at his gym, the legendary Paul Murphy Boxing Club outside of Atlanta. His boxers include Evan “Yung Holy” Holyfield, son of four-time World Champion Boxer Evander Holyfield. Event special guests include current Super Featherweight International Champion and WBC Undefeated Female Boxer Alycia Baumgardner; NABA Titlist Dat Nguyen; and No.1-ranked WBC Champion Erickson Lubin. Also, Brasil Olympian and WBC International Champion Yamaguchi Falco; Ghana Olympian Samuel Neequaye; Dominican Olympian Dagoberto Aguero; and undefeated Lightweight Champion Teofimo Lopez. Additionally, Florida musical artists Black Dada and Ave St Lo will perform on Saturday, June 2. Wells and his wife, Lisa, started the national championship series in 2016 to groom boxers whose skills have the potential to take them to the top of the boxing arena, including the Olympic Games. The Olympic-style boxing that is going to take place in Punta Gorda will also be a special treat for amateur boxing enthusiasts as well as those attending the tournament out of curiosity about the sport. Tournament entry fee is $30 for walk-in boxers, and $20 for fighters who pre-register online. Female athletes, officials, and coaches are free. The host hotel is Punta Gorda Waterfront Hotel and Suites, 300 W. Retta Esplanade, in Punta Gorda. General admission tickets start at $10 for children ages 4-8, and $15 for adults. Log on to www.sugarbertboxingpromotions.com for registration and event information, or call (770) 833-7888. Cutline: Sugar Bert Boxing Title Belt National Championship returns to Punta Gorda, Fla., June 2 – 3, 2018, at the Charlotte Harbor Event & Conference Center. Aqua Marketing & Communications, Inc.